Today we take you to the manufacturer Blitz Enterprises to discover a new electronic box bottom-feeder: The Vigor 81W Squonk. Want to know more ? Well, let's go for a complete presentation of the beast. 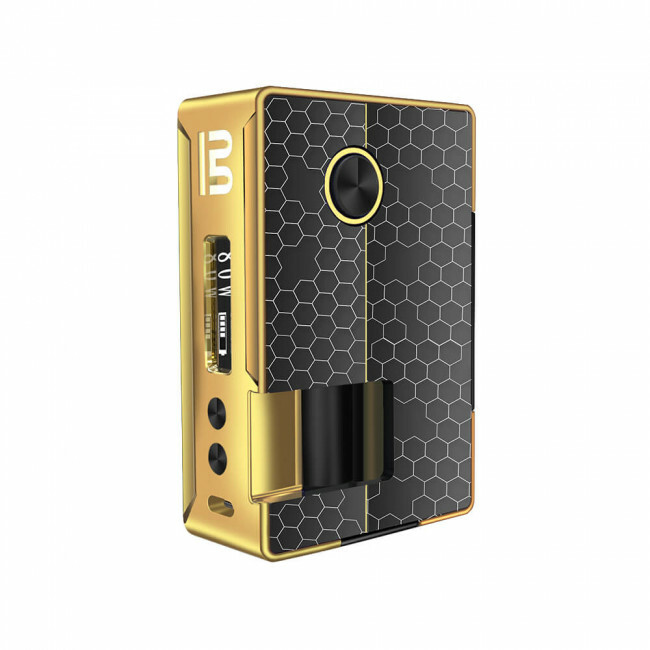 VIGOR 81W SQUONK: A NEW ELECTRONIC BOX FOR SQUONKERS! Not really new to the vape market, the manufacturer Blitz Enterprises quite often offers quality material. Today, he takes us with pleasure to the country of the bottom-feeder to present us his new competitive beast: The Vigor 81W Squonk. Rectangular and fully designed zinc alloy, the Vigor 81 Squonk is compact, ergonomic and really design. 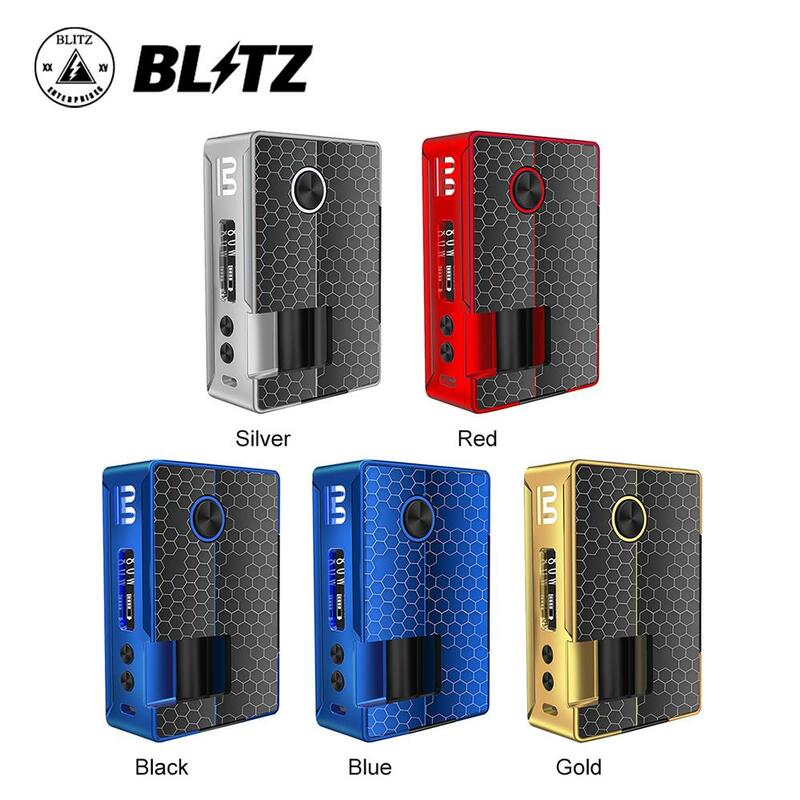 Aesthetically successful, the new box Blitz will be available in several colors (gold, red, blue, steel, black) and it will be possible to completely disassemble with its two magnetic panels (side bottle squonk and battery side). On the main facade there will be an oled 0,91 "screen, two dimmer buttons and a micro-usb socket for reloading and updating the firmware. On the side of the box we discover a large round switch and an opening to access the bottle of squonk. Powered by a simple 20700 or 18650 battery, the Vigor Squonk box can reach a maximum power of 81 watts. There are several modes of use including variable power, temperature control (Ni200 / Ti / SS316L), Bypass and "Curve" mode. Inside, the Vigor 81W box contains a silicon squonk vial with a capacity of 10 ml. 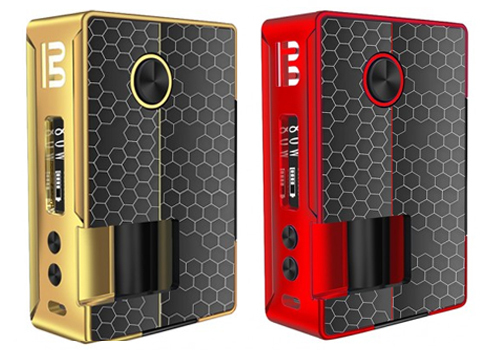 Screen : Oled 0,91 "
The new box Vigo 81W Squonk by Blitz Enterprises is now available for 50 Euros about. Previous: HONG KONG: New legislation to ban e-cigarettes. Following : VAP'NEWS: The e-cigarette news of Wednesday 27 February 2019.